A Reusable Nappy Match Made in Heaven! Our award winning Bamboozle Stretch cloth nappies are back with a bright new look! Daydream and Plop have been joined by Waddle, Scamp and Roar and we can’t wait to see your tiny tots flashing their Bamboozled bots. There will be no puddles round with this duck! Fresh and neutral, this nappy design is sure to make the cloth nappy world go quackers! Team it with one of our reusable PeeNut Wraps to keep leaks away for up to 12 hours! It will definitely be puppy love with our daring doggy print. We think it will get a lot of tails wagging… Super soft and super squishy, if you are looking for slim fitting and stretchy you are barking up the right tree with this playful cloth nappy! Looking to stomp it's way into the best seller position, there's nothing prehistoric about this roarsome print! 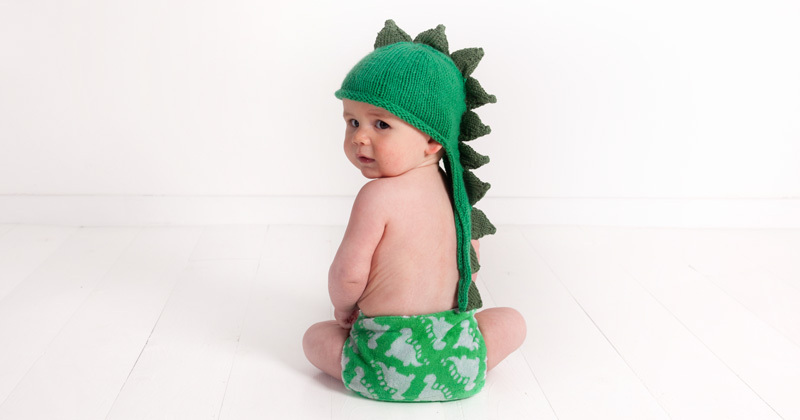 Let’s make boring single use nappies extinct with these bamboo designs made right here in sunny Scotland. And our beautiful Bamboozles no longer need to be hidden as these cloth nappy prints are available in our waterproof PeeNut Wraps and PeeNut pads making these the perfect designs to take you from day time crawling to night time snoozing. They are a match made in fluffy heaven and available now! What one is on your shopping list?